As iPhone sales slow, here's a look at some of the more interesting insights into Apple's business. I’ve dug through everything I could find to gather together some of the more interesting insights into the company’s business as smartphone sales slow. iPhone revenue fell 15 percent year on year – though total revenue from other products and services climbed 19 percent. Apple warned of this earlier this month, but it tried to clarify how exchange rate fluctuations have impacted prices. The problem is that Apple set prices in dollars, which meant in many markets the cost of the new Apple smartphones ended up seeming much higher than previous generations. We’re also at a transition point at which carriers are offering fewer discounts on new devices. Apple is also making it easy for cash-strapped consumers to pay for new devices. Apple is developing ways to help customers pay for products over time and plans to roll iPhone Upgrade schemes to additional markets. Another interesting insight: iPhone sales at Apple Retail doubled in volume on strength of Apple’s trade-in scheme. “For millions of customers, we made it cheap and efficient to help customers hold onto their iPhones a bit. Some people have suggested we shouldn’t have done this because of the impact on upgrades, but we strongly believe it was the right thing to do,” said Cook. Apple knows that its high user satisfaction levels mean the majority of its customers will eventually purchase two or more of its products and will upgrade them later, also. 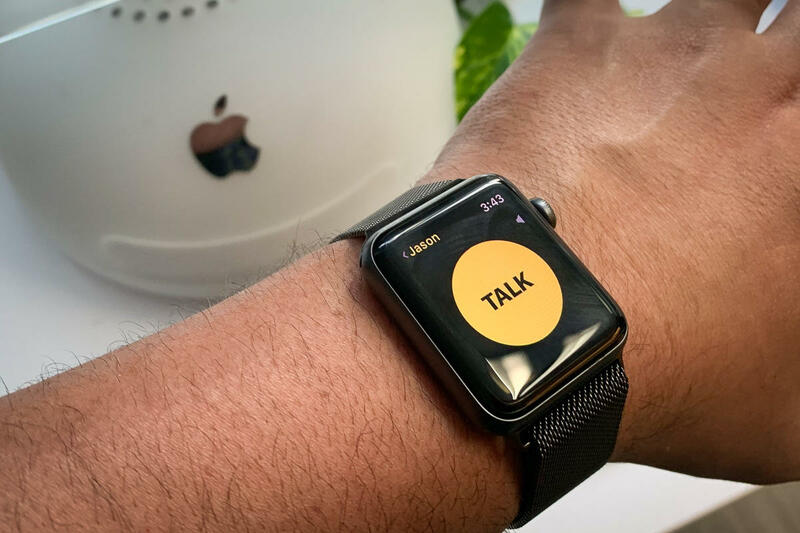 Apple’s focus on services is just one of several strategies (wearables and accessories are two more) the company has to capitalize on this loyal market. Services is another – and this is the Apple business segment that will sustain the company during economic turmoil. The active installed base of devices reached an all-time high of 1.4 billion in the first quarter. Growth was experienced in all geographies. Services revenue reached an all-time high of $10.9 billion, up 19 percent over the prior year. Record Services are in greater China. The monthly active user rate for Apple News hit 85 million. Apple Pay handled 1.8 billion transactions during 2018, up 100 percent year over year. Apple Pay in Germany supported more transactions at Deutsche Bank in one week than the bank handled Android transactions in the whole year. Apple Music now has 50 million paid subscribers, up 25 percent since last summer. The company reached a new record high of transacting accounts on digital stores. Apple now handles 360 million paid subscriptions across Services. One metric that could become really important (and is, I think, a little excessive): Apple achieved a 62.9 percent gross margin for services – this compares madly well against its 34.3 percent gross margin for products. Finally, Apple also revealed that it currently has 900 million iPhones in active use worldwide, up 75 million against last year. iPhones may seem to be Apple’s most important product, at least in terms of revenue, but the truth seems to be that Macs and wearables would both constitute a top 500 firm on their own account. It is open to question if this would be the case in the absence of the ‘iPhone halo’ effect. Revenue from Mac and wearables, home and accessories grew 9 percent and 33 percent, respectively, and revenue from iPad grew 17 percent. Wearables, home, and accessories grew over $1.8 billion. Half of iPad buyers were new to iPad. Half of Mac buyers were new to Mac. There was a strong response to the new MacBook Air and Mac mini. iPhone: $51.98 billion – down from $61.10 billion year over year. While I don’t deliver too much Apple TV-related coverage in this blog (but do carry it here), I think even enterprise users will be interested to learn how Apple now sees the future of television. Apple, Disney, and Universal will all launch their own streaming on-demand content services this year. “We’re going to participate in that in a variety of ways. One of those is through Apple TV, you’re well familiar with that product. The second way is AirPlay 2, which we have support on a number of third-party TVs. We’re excited about that, it makes the experience in the living room even better. We think that people are really going to like that. “Another way, of course, is all the third-party video subscriptions that are on the store. We’re participating in this today, and I would guess that it’s going to accelerate into the future as the bundle breaks down and people begin to buy, likely multiple, services in place of their current cable bundle. “Finally, original content. We will participate in the original content world. We have signed a multi-year partnership with Oprah, but today I’m not really ready to extend that conversation beyond that point. We’ve hired some great people that we have a super amount of confidence in, and we’ll have something to say more on that later,” Cook explained. He confirmed that among business customers who plan to purchase tablets in the March quarter, 68 percent plan to purchase iPads. He also noted some real-life usage cases that reflect the company’s enterprise appeal. Large bearings and seals manufacturer SKF has reduced production errors from 20 percent to zero while saving 70 percent in system-related time by introducing iOS technologies into its systems. Procore Technologies has introduced an app to help decrease building errors on the job site. This uses Metal, Split View, and the iPad camera so construction workers can compare building plants and 3D models to what is actually being built in real time. “This new iOS app reduces wasted raw materials and helps keep building projects on time and on budget,” Maestri said. Apple also revealed recent 451 Research data that shows customer satisfaction of 99 percent for iPhone XR, XS and XS Max combined.